As we’ve pointed out many a time on this site, there are basically two types of coffee grinder – those that use blades, and those that use burrs. Each type has its pros and cons, with electric burr coffee grinders being generally more expensive, but yielding more consistent grind sizes. With blade grinders, the emphasis is on their compact size, their ability to grind things other than coffee (eg. spices), and, of course, their everyday low price. Before we dive into our reviews of the of 2019, we will talk about the reasons why a blade grinder might be preferable to a burr grinder, how to choose the right blade grinder, etc. 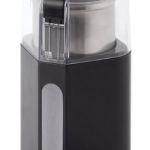 Why Buy A Blade Coffee Grinder Instead Of A Burr Model? What to look for when buying a blade grinder? How to clean your blade coffee grinder? 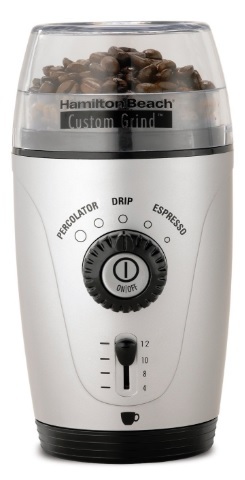 Let’s start by explaining why you should choose a blade grinder instead a burr grinder. 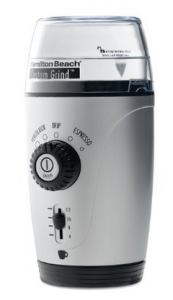 The argument goes, why would someone spend $100, or $500, or even $3000 for a fancy burr grinder when they can get basically the same results by purchasing a $20-ish blade grinder? It is at this point that all sort of coffee buffs and professional baristas start getting slightly irate, because the reality is that a blade grinder simply cannot do the same tasks that your best burr grinders can perform. Coffee grinding is an art form, just like espresso making, and just like brewing a decent pot of coffee. One of the main reasons for the burr grinder’s general superiority is that it is adjustable, allowing for different grind sizes, and the burrs themselves can simply grind better than a whirling blade due to their design. That said, there are coffee grinder manufacturers who have mastered the art of the simple blade grinder. 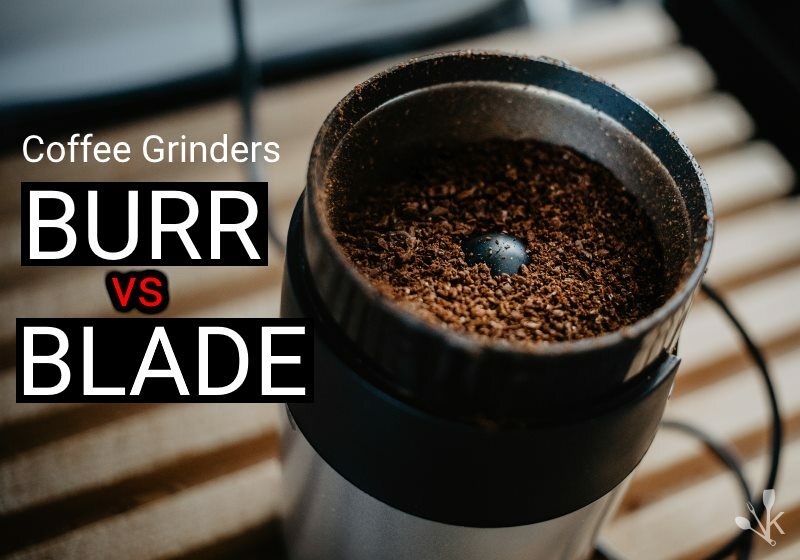 To compete with the burr coffee grinders out there on the market, companies that make blade grinders know they have to pack a lot of value into a small kitchen appliance that only costs around $20. How is this done? Let’s take a quick look at some of these factors that make a blade grinder great before we share our list of our 4 absolute favorite blade grinders that are on the market today. This should give everyone some context as to exactly why one might want to opt for a blade grinder over a burr grinder. Grinds Spices & More! – One of the big advantages that blade grinders have over burr grinders is their all-purpose nature. 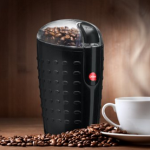 Electric burr coffee grinders, and even manual burr coffee grinders have the advantage of being dedicated to coffee beans. There are certainly many burr coffee grinders where you simply are not supposed to grind anything but coffee with them. They are made for coffee, and that’s it. That may be all well and good, but on the flip side of the coin we have blade grinders, which are cheaper, yes, but you can basically toss anything into them. 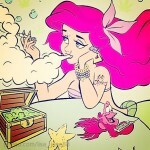 Cinnamon sticks? Sure. Flax seeds? Why not. Many blade coffee grinders specifically advertise that coffee AND spices are the name of the game. Parsley? Of course! By the same token, if one day you go over the edge and throw in too many things, and it literally overloads your blade grinder. Well, at least you’re only out about $20 rather than $300. One Touch Grinding – We simply have to mention the one-touch feature of blade grinders. This feature, as you may know, means that you just have to press one button and the grinding starts. Release the button and the grinding stops. You grind the coffee until it is the consistency you like. Super easy. Yes, this is the opposite of most burr grinders, which can be more of an involved process. Many coffee geeks will go for this more involved process, but if you simply want to get the job done, you can’t beat the one touch feature! Compact Size – Your kitchen counter is prime real estate. There is only so much room on your countertop, and certain kitchen appliances take up a lot of space. Blenders, toasters, dish drying racks, and much more are often found on a person’s kitchen counter and certain appliances take priority. 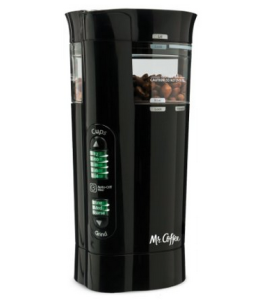 In regards to coffee grinders, your average $200 electric burr coffee grinder is definitely more of a showpiece. They are often designed to be somewhat counter-space friendly, but most of the time they will take up the same amount of space as a good sized blender. And as much as some people wouldn’t mind turning their counter top into their own personal coffee and espresso bar, sometimes there just isn’t enough room to accommodate all of the necessary equipment. Blade grinders are made to be compact, and just generally really handy to use. You plug them in, you do your business, and afterwards you can easily store them. They don’t have to encroach on your countertop, making it a cramped space. Portable – This ties in with the last point of being relatively compact, but this point deserves its own mention. With burr grinders, they generally are meant to stay in one place. Grinding can be a really particular process, and sometimes you want a coffee grinder is nice and big and stays put. On the other hand, sometimes its nice to unplug your appliance and put it in a nearby cupboard. In addition, sometimes you might want to unplug your coffee grinder, and toss it into a suitcase, and go on a vacation. Portability of your average blade grinder means you can move it from one place to another rather easily, and you can also take it with you where ever you go and it isn’t going to take up a lot of space no matter what. 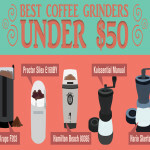 Looks – This is not to say that burr grinders are ugly, because that’s not true at all. In fact, burr grinders, are usually quite beautiful. 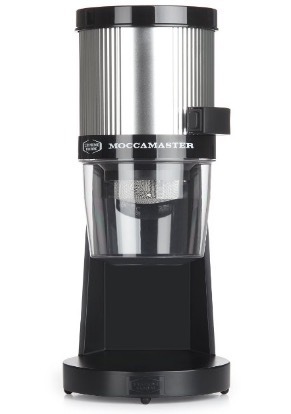 But in an effort to compete with some of these svelte burr grinders, and to give you the maximum bang for your roughly $20, blade coffee grinder manufacturers do their best to make these grinders quite snazzy. Usually comprised of durable plastic as opposed to solid steel or other metals, we think you will appreciate some of the attractive looks that many of the top blade grinder manufacturers have come up with. Price – For some, the bottom line is price. And this is where blade grinders get even more attractive to the person who wants to experiment with making coffee at home. There are two major ways that price come into play with blade grinders, with one being that blade grinders are overall a lot less expensive than burr grinders, which can sometimes be hundreds, if not thousands of dollars. Beyond that, if you make the decision to buy a blade coffee grinder and start grinding your own beans and brewing your own coffee, you will most definitely start saving money right away. 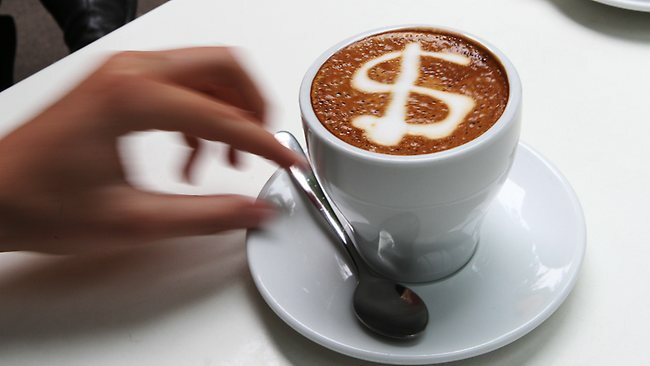 This is because you can now choose to go to your local coffee chain or café and spending more, or you can stay home and spend less, and still be drinking high quality delicious coffee. It’s up to you! 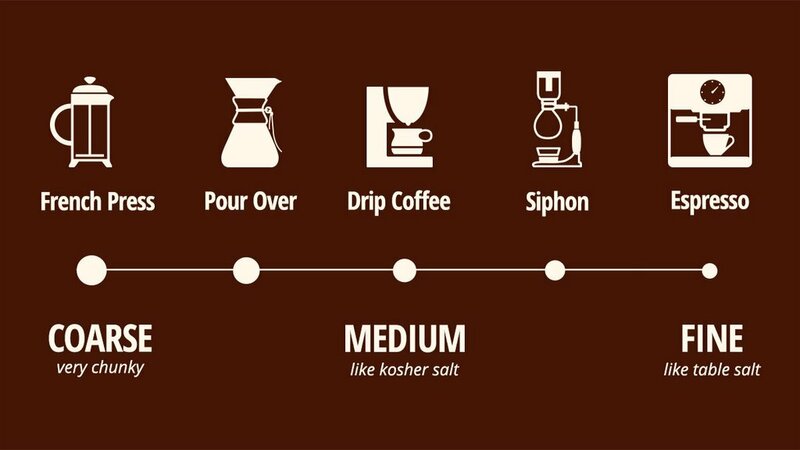 This is definitely the most important factor you need to consider when buying a new coffee grinder. 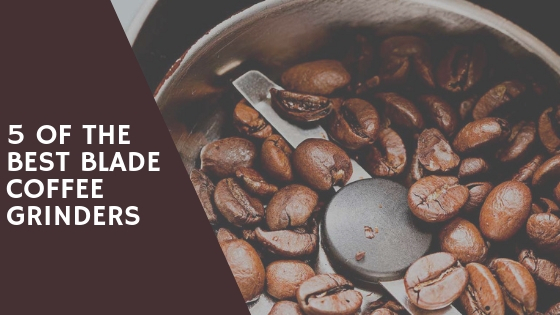 In order to make most out of your coffee beans, you want to grind them right before making your coffee and get the grounds as fine and consistent in size as possible. This is the most important factor in making an amazing cup of coffee. Achieving fine grind each time is especially important when it comes to making espresso coffee. So if you are an espresso lover, make sure you look for a coffee grinder that is capable of producing consistent, fine coffee grounds. All coffee grinders are built to hold a certain amount of coffee needed for grinding. Your coffee will taste the best if you grind it just before you brew it. Before you go shopping, you need to consider whether you will be making coffee just for yourself or for several other people. If you will be making coffee just for yourself, you should buy a small-capacity grinder. If you will be making coffee for yourself and your family, roommates or co-workers, then you should look for a grinder with large capacity hopper. Actually, that’s wrong when speaking about coffee grinders. Blade coffee grinders with high speed-motors usually produce a lot of heat, which can burn your coffee and affect the flavor and aroma of your coffee. 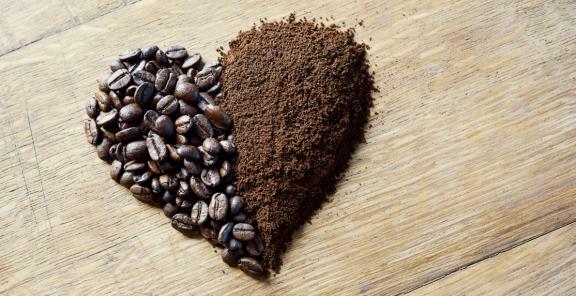 If you want to avoid overheating and burning your coffee, you can turn your grinder on for few seconds, turn it off for few seconds and then repeat the same process until your coffee is nicely ground. However, this star-and-stop grinding method can quickly wear out your machine and shorten its lifespan. 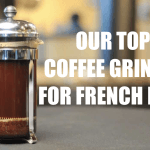 High quality coffee grinders have gear reduction features that can help avoid overheating and coffee burning, but in general, you should avoid coffee grinders that grind at high speed. Here is tip for you: When buying a blade grinder, look for direct drive grinders as these grinders come with low-speed electric motors. Blade coffee grinders are made of many electric components, which means there is a lot of things that can break. Even the tiniest electronic malfunction will make your grinder useless. If your grinder is not under warranty, you will have to spend extra money on repairs or buying a new grinder. That’s why you should always look for a grinder with a long term warranty. 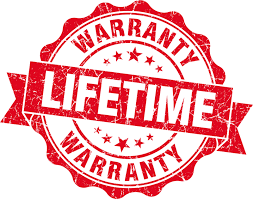 A long term warranty will have you covered for 5 or 10 years. Some manufacturers and retailers will offer you an extended warranty for only few dollars. We highly suggest you spend few extra dollars and extend your warranty for few more years. 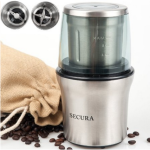 Are you looking for a grinder that will bring some style to your home or for a small and simple grinder that you can take with you when traveling. Coffee grinders come in all sorts of shapes and sizes. If you don’t plan taking your coffee grinder out of your home, we suggest you buy a premium looking grinder that will look amazing in your kitchen. On the other hand, if you plan bringing your grinder with you during your travelling, you’re better off buying something smaller that won’t take too much space in your luggage. Next, we bring you the best blade grinders of 2019. Ok, so we’ve been through all the reasons one might like to buy a blade grinder, so now let’s take a look at 3 of the absolute best blade grinders available today. We’ll keep these reviews short and sweet, since we’ve already done a lot of talking. You will quickly see why these blade grinders are worth your time. We start with Proctor Silex E160BY. 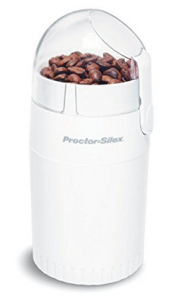 The Proctor Silex blade coffee grinder comes in both white (E160BY) and black (E167CY), with both machines being nearly identical except for their color. Proctor Silex has spent over 50 years in the appliance business, and so they have history on their side. They also have customers on their side with this blade grinder, as there has been a ton of positive feedback online for this grinder. Proctor Silex refers to this blade grinder as a “precision” model, and it has been designed to get the much sought-after fine espresso grind that people love. Goes great with a nice espresso machine if you’re willing to shell out the bucks, but this beauty is available for under $20. Here we have one of, if not the best blade grinder on the market. Why do we call it the best? 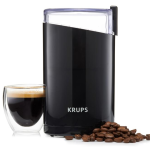 Basically, this is the most popular model according to our research, with literally thousands of reviews for the KRUPS F203 and the vast majority of them being extremely favorable. 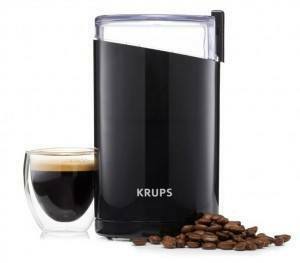 Its not really too shocking that the KRUPS F203 is a fan favorite. With a stylish and unique design, the one-touch grinding feature, and stainless steel blades, this is the dictionary definition of a blade grinder that does its job. It’s not very often you get options to customize your grind for under $20, but with the Hamilton Beach 80365, you have that option. 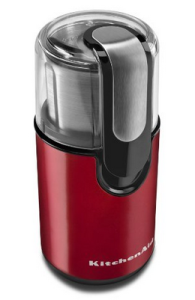 There is a lot to love about this handy blade coffee grinder, and customers seem to agree. In addition to being able to grind both coffee and all manner of spices, you also have a removable grinds chamber for easy cleaning, as well as the custom grind settings we mentioned. This coffee is certainly a dynamo, and it comes with a surprisingly inexpensive price tag of under $20. This blade grinder has 3 grind settings of coarse, medium, and fine to give it versatility. You can fill this with as many beans as will fit into the removable chamber. From there, you can grind the exact amount of coffee you need for the cups you planning on making in the moment. This gives you the freshest coffee possible. Keep your beans in the freezer and pull out only the amount you’ll need for a day or two. It’ll help your beans stay fresh as long as possible after you’ve roasted them. Even if you haven’t roasted them yourself, this is the best way to get a good cup of coffee at home. Last but not least is KitchenAid BCG111ER. This is a brand you’ve likely heard of over the years. They craft great kitchen gadgets, and they’re always well-made. It’s a company that cares about its customers. 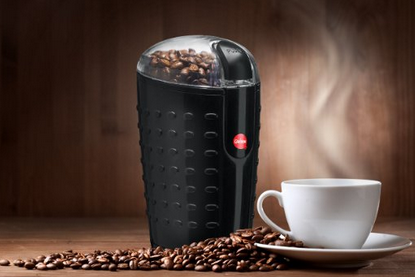 There are some great features in this coffee grinder. It’s a blade grinder that uses stainless steel for much of its design. That’s important for anyone who wants to reduce the amount of plastic-type products that touch their food. The stainless steel bowl holds up to 4 ounces of beans, but it also has etchings directly on the bowl to tell you how much it’ll make. These are the top 5 blade grinders out there. They have incredible features while being reasonably priced. They’re easy to use, too. 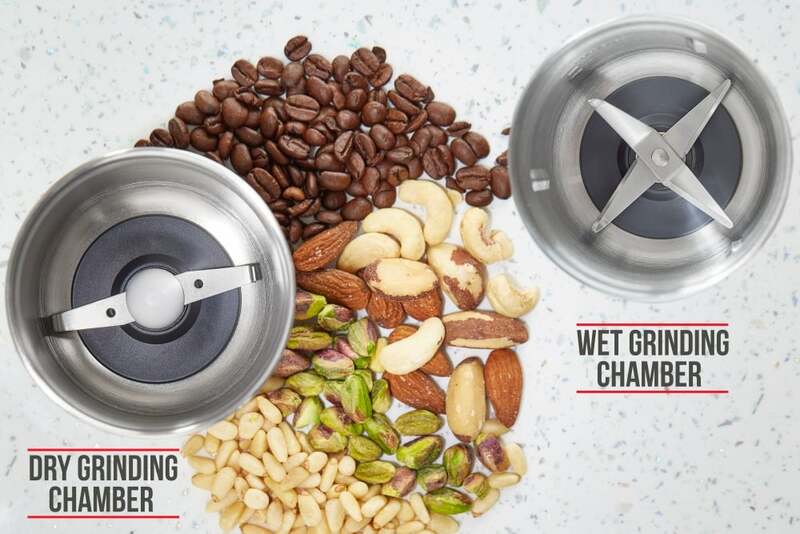 If you’re a beginner to the world of coffee grinding, one of these could be your new best friend in the kitchen. To guarantee we are getting the most from our coffee grinders, it is advised we clean our grinders every so often depending on our usage. But how do you do it? Well, there are several different types of grinders and each requires different cleaning methods. Today we will explain you how to properly clean your blade grinder. 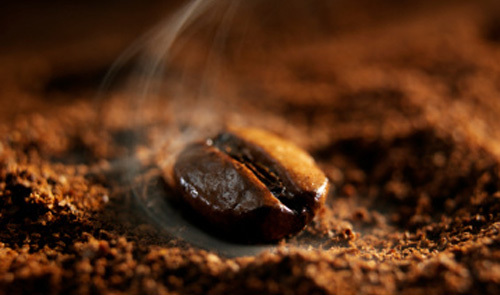 Use an old toothbrush or a paintbrush to scrape out any remaining coffee powder from the hopper of your coffee grinder. Add some rice to the hopper of your coffee grinder. For most standard-sized coffee grinders you will need only ¼ cup (about 20 grams) of dry, uncooked white rice. If you have a larger coffee grinder, make sure you add enough rice to entirely cover the blades of your grinder. Run the grinder until the rice becomes a fine powder. 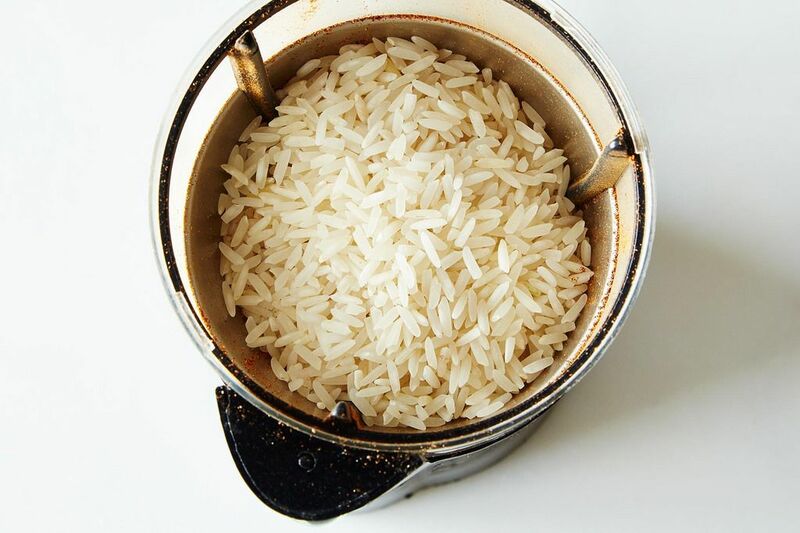 Your rice should change in color slightly – turning a very light tan. Dump the ground rice into a trash bin. Next, use the toothbrush or paintbrush and scrape out any remaining rice powder. If your grinder is especially smelly, use a paper towel or a piece of cloth dipped in plain white vinegar to wipe it out. The vinegar will remove the odor of coffee and rice. 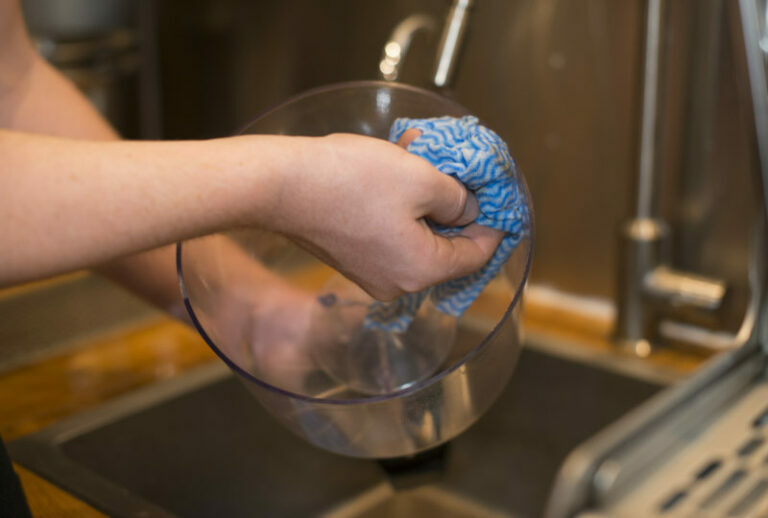 Next, give your grinder a good cleaning a new piece of paper towel or cloth dipped in lukewarm water. Keep the hopper lid off and let the grinder air dry for 20-30 minutes. Make sure your grinder is completely dry before you use it again. There you go! Enjoy your perfectly clean coffee grinder.